Slightly behind schedule edition of TQFTMDMCCIC (because I’ve misplaced my laptop charger and haven’t been able to write a proper post…) BUT here is this delightful review from my friend Keli! It’s a post from her 365 day photo blog – she’s taking a photo a day this year. She hasn’t missed a day yet and her photography is wonderful! Check it out, and thank you Keli! 118 | 365, a photo by kelsimad on Flickr. Today’s photo is for Rachel and her TQFTMDMCCIC (The Quest For The Most Delicious Mint Chocolate Chip Ice Cream). I have been seriously slacking in my ice cream critiques. 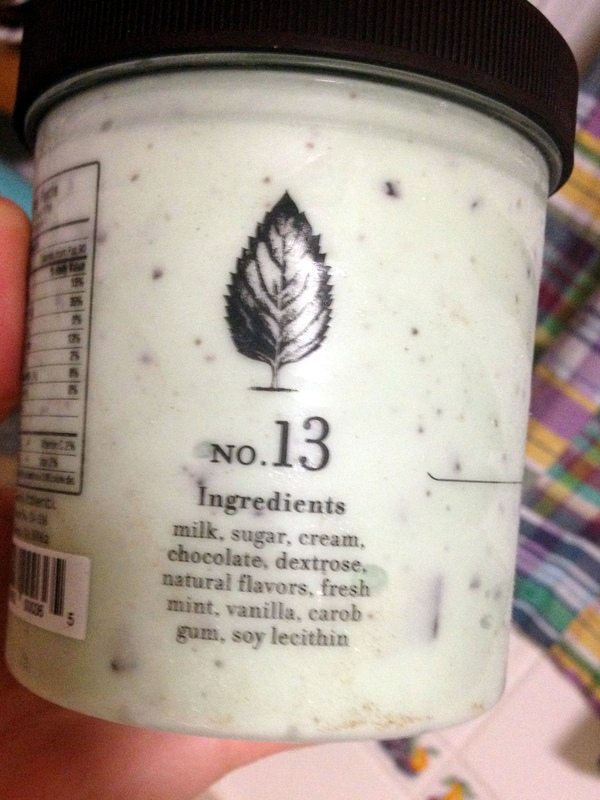 Not in person – I definitely have been glutting myself on creamy ice-y minty goodness. But the actually sharing my findings here on this good ‘ol blog?? Well. The crickets speak for themselves. So, onwards and upwards! I have some exciting reviews coming your way – including a little giveaway [my first one, ahh!] and an actual 5/5 star amazing I-could-eat-this-every-day find that I came across yesterday!!! I am stoked. But first up, this intriguing find from my grocer’s freezer. Technically, it IS a gelato and NOT an ice cream. What’s the difference??? I have no idea except that I think it has something to do with the temperature it is frozen to (gelato is frozen colder..?) and that temperature has an effect on the overall texture. But I have yet to actually do any real research on the matter and I’m basing that conjecture solely on the types of ice cream makers I used to memorize spiels about while working kitchen retail. 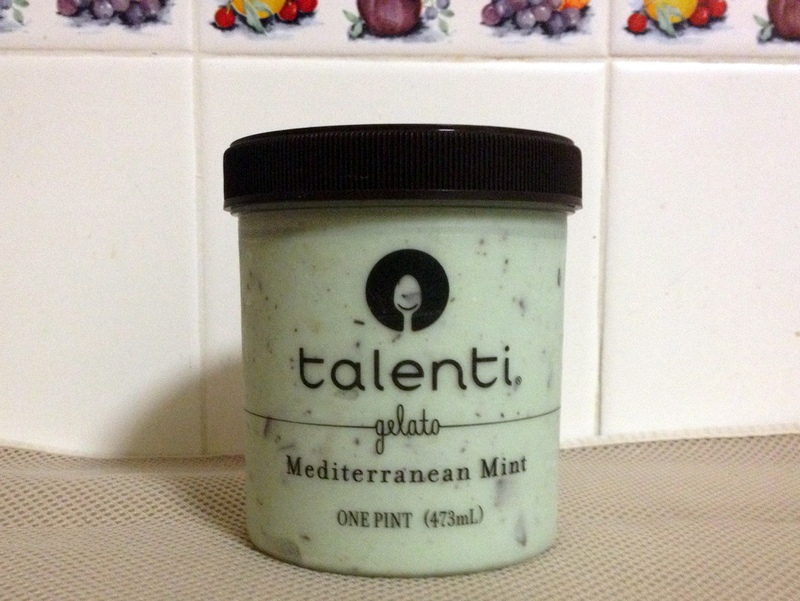 BUT that is neither here nor there – I give you gelato! 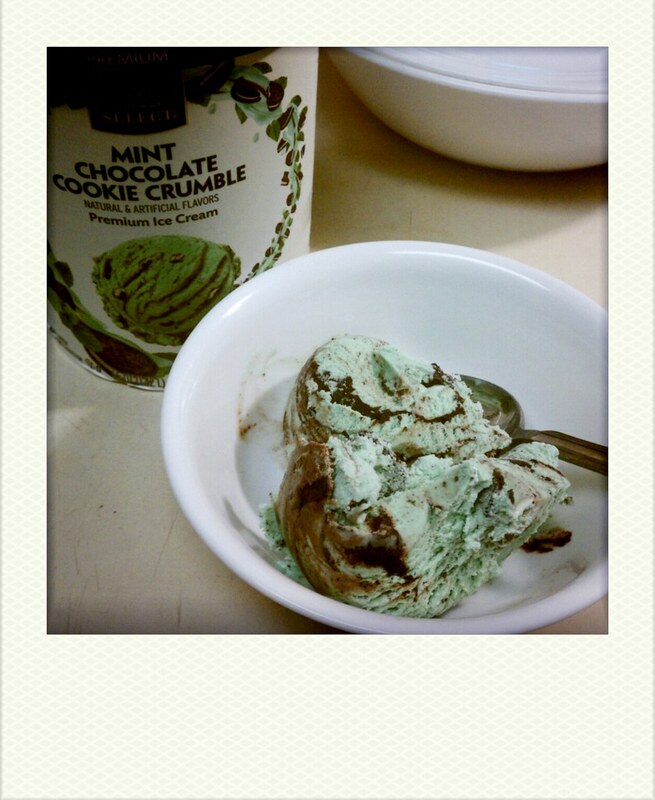 THE DISH: A light green, mint flavored ice cream (uh, gelato) with flat, non-uniform rectangular chunks of semisweet chocolate. THE PROS: Very smooth! The texture is wonderful. The ice cream gelato portion is very high quality. An interesting mint flavor too – not like anything I’ve ever had before. It really grew on me, though! Reminds me more of the flavor of peppermint tea than the traditional “mint” flavor in your run of the mill MCCIC. Also, check out those ingredients! I love seeing something so simple. THE CONS: While the gelato base is unconventional but lovable and of an exceedingly high quality, the chocolate is disappointingly sub-par. With a dessert such as this, I expect quality in every ingredient. It cost me somewhere in the neighborhood of $5.00 for one pint, which is not the most expensive frozen dessert I’ve ever purchased, but it’s certainly more than a pint of Ben&Jerry’s and every B&J’s flavor I’ve had the pleasure of enjoying has had better chocolate than this. You’d think they’d be able to source a better ingredient, it would make their product truly sing! Stay tuned for weekly ice cream installments! Giveaways and five stars and consistency, oh my! And once again, ain’t nobody paid me to write this bidniz. 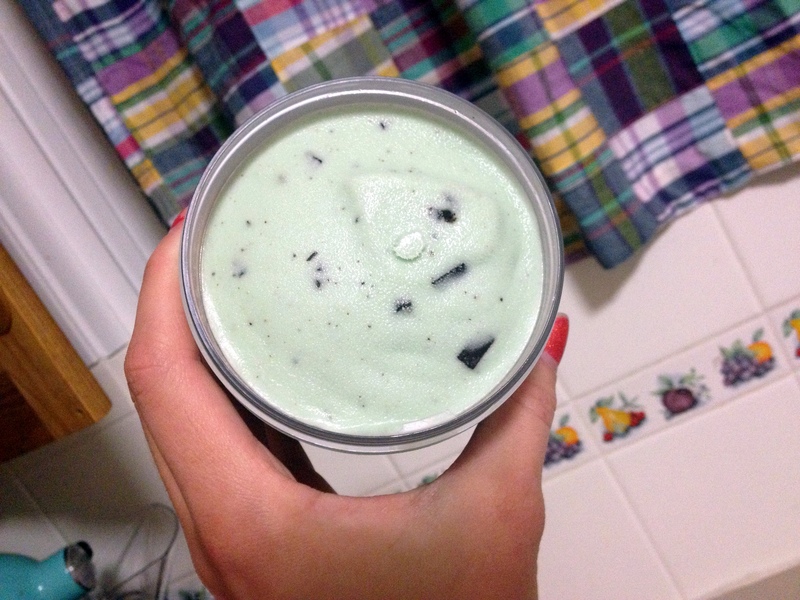 I am a simple person who has a passion for mint chocolate chip ice cream, makes a point to buy all of the kinds I deem worth my time (with my own monies), and thereby ingests copious amounts of minty chocolate-y frozen treats. Sometimes I even share them with my family or friends.